They were the darling of the 2018 Los Angeles Auto Show. 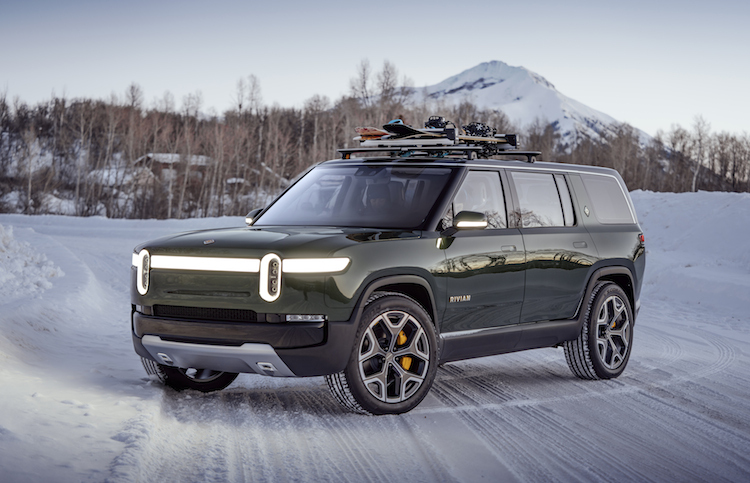 Rivian Automotive, an upstart electric-vehicle company based in Michigan with a plant in Illinois, may soon bring a pair of electric vehicles to the market. 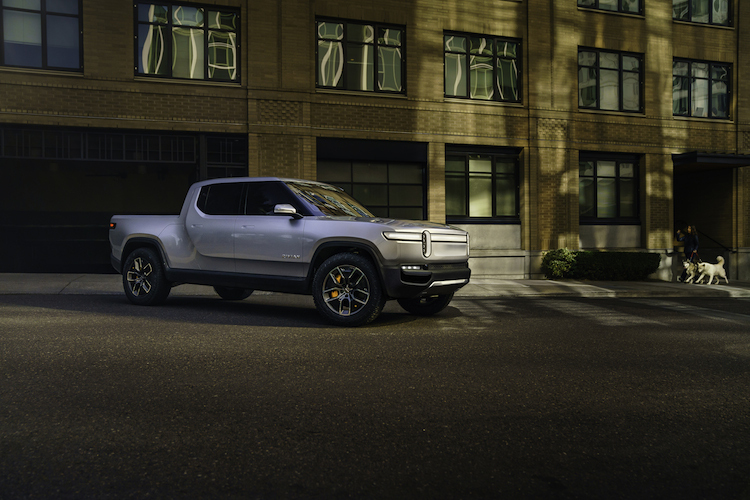 The automaker showcased a pickup truck and an SUV in L.A. and may soon have the backing of a pair of very different industry giants as it moves toward production. News reports this week indicate that both GM and Amazon are looking at taking stakes in the fledgling automaker. GM sells more passenger vehicles in America than any other company. Amazon is the leader in online sales and has its hands in a variety of businesses. 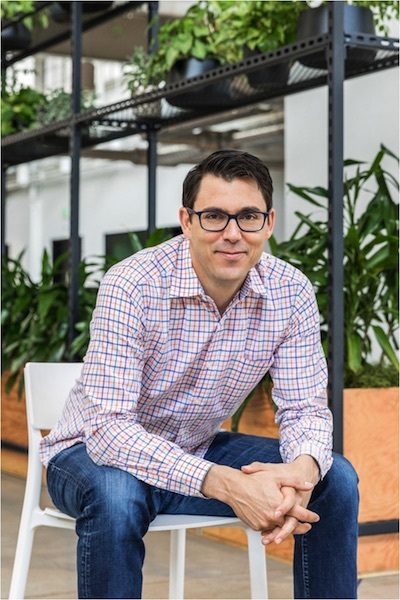 Separately, the two companies would benefit from a Rivian stake. Together, their funding would provide the backing to ensure this Tesla-fighter gets off to a great start. The Rivian investment would value the company somewhere between $1 billion and $2 billion dollars, even without having built a single vehicle. 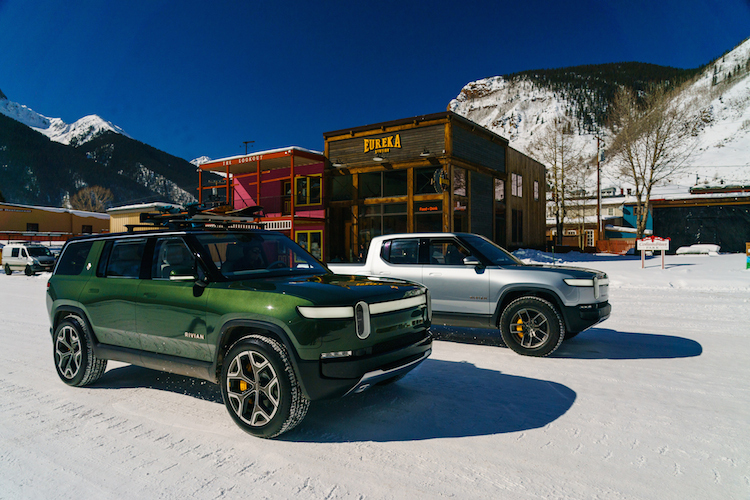 Rivian R1T all-electric pickup truck. The company launched in 2009 and was essentially developing under the radar, while mostly everyone’s attention was on Tesla Motors and other industry happenings. 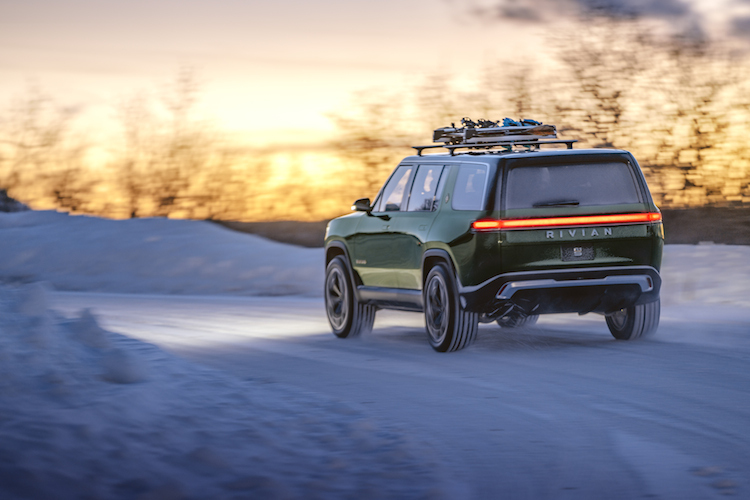 At the L.A. show, Rivian showcased the R1T truck and the R1S SUV with both riding on the same skateboard platform. Powering each model is a quad-motor system with each motor adjoined to a wheel. Three battery size options — 105 kWh, 135 kWh, and 180 kWh — will launch the line, with a range of 240, 310, and 410 miles, respectively. GM’s interest in the company may seem curious, given its position in the market, especially with its fleet of pickup trucks. GM builds more pickup trucks than its rival Ford, although the latter claims the best-selling model in the Ford F-150. 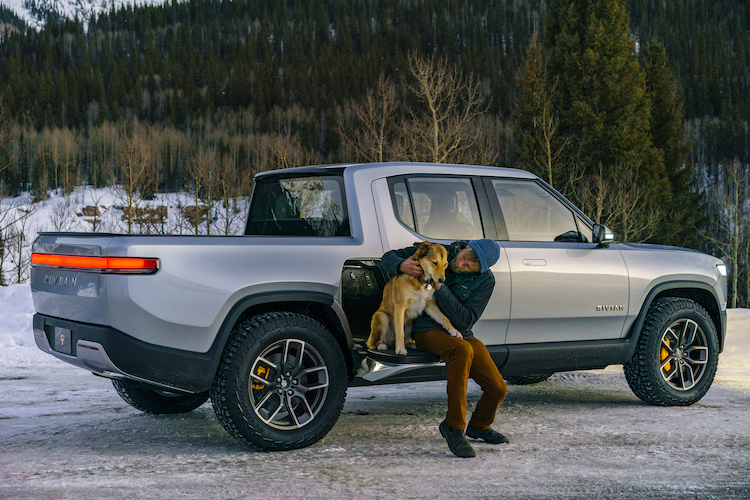 GM has the ability and desire to electrify its trucks, but purchasing a stake in Rivian would go far in fulfilling its own electrification needs without additional investment. Depending on how a deal is set up, Rivian’s sales totals could become GM’s. This would also go far in enabling GM to meet federal fuel-efficiency guidelines without disruption to its core operation. Amazon’s involvement may seem surprising, but like other tech giants, including Apple and Google, the company is diversifying into many different fields. Further, Amazon has its own fleet of delivery vehicles, which may one day include electric models. Owning a stake in Rivian would smooth that transition. It would also send a warning shot across the industry bow that Amazon is here to play (behind Alexa, of course). This might also signal stronger cooperation between tech and automotive giants, with perhaps the former investing heavily in the latter to further electrification and roll-out autonomous vehicles. We may see a new disruption that won’t necessarily sink established players but transform them. 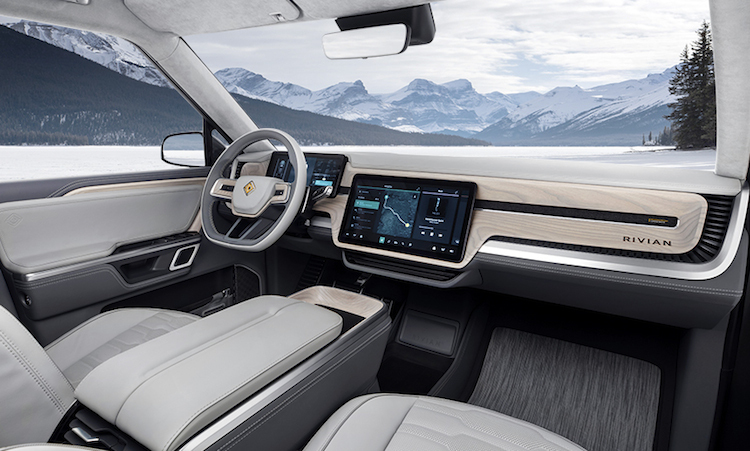 So, why isn’t Rivian considered vaporware by industry critics? For a number of reasons, beginning with its founder, Robert “RJ” Scaringe. Scaringe is a graduate of the Massachusetts Institute of Technology, where he achieved a doctorate in mechanical engineering. In 2009, he formed Mainstream Motors, which was later renamed Avera Automotive. The company had originally set out to build a fuel-efficient gas-powered car but eventually transitioned to electric vehicles with an eye also on vehicle autonomy. Along the way, the company adopted its present name, won several rounds of funding, hired staff, and acquired the former Mitsubishi manufacturing plant in Normal, Illinois, for a song. Since the L.A. Auto Show, analysts have looked closely at Rivian and most like what they see. Many compare Rivan with Tesla, but not at the CEO level, at least not in terms of bombastic behavior. While Musk has been making outlandish statements for years, including one that has led to an SEC investigation, Scaringe has quietly been building his business, conducting few interviews (including this one with Forbes), and readying his vehicles for production starting in 2020. And that’s with or without funds from GM or Amazon.